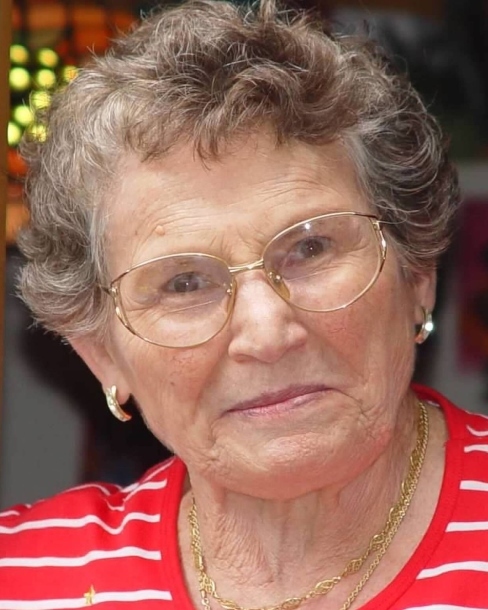 Linda L. (Lostocco) Verardi, 97, of Bristol, widow of Gino Verardi, passed away peacefully on Monday (February 4, 2019) at Ingraham Manor. Linda was born in Lenola, Province of Latina, Italy on December 16, 1921 and was a daughter of the late Antonio and Fortunata (Morocco) Lostocco. Raised in Italy, she came to Bristol in 1956 and worked for Superior Electric and has enjoyed 38 years of retirement. She enjoyed shopping at local stores with her grandchildren and interacting with the salespeople. She loved spending time with her family, cooking and hosting Sunday dinners and many other gatherings. Linda is survived by a son and daughter-in-law: Joseph and Linda Verardi of Bristol; a daughter and son-in-law: Gina and Robert Kasper of Bristol; six grandchildren and spouses: Joseph and Brenda Verardi, Ann Marie and Jay Pahl, Karen and Juan Quintero, Joseph and Amanda Kasper, Laura and Alex Cortez, and Karla Jeon; 18 great-grandchildren; and several nieces and nephews. She was predeceased by a son, Anthony Verardi, her siblings: Armando and Alfredo Lostocco, Celeste Leone, and a beloved grandson, Thomas Verardi. The family thanks the staff at Ingraham Manor for their loving care of Linda. A Mass of Christian Burial will be celebrated on Saturday (February 9, 2019) at 10 AM directly at St. Gregory Church, 235 Maltby Street, Bristol. Burial will follow in St. Joseph Cemetery, Bristol. There are no calling hours. In lieu of flowers, memorial donations may be made to the Alzheimer’s Association, 200 Executive Boulevard, Southington, CT 06489-1052. Funk Funeral Home, 35 Bellevue Ave., Bristol is in care of arrangements. Please visit Linda’s memorial web-site at www.FunkFuneralHome.com.